So I thought it would be appropriate to start with one of the bakes that got me a name for baking.. 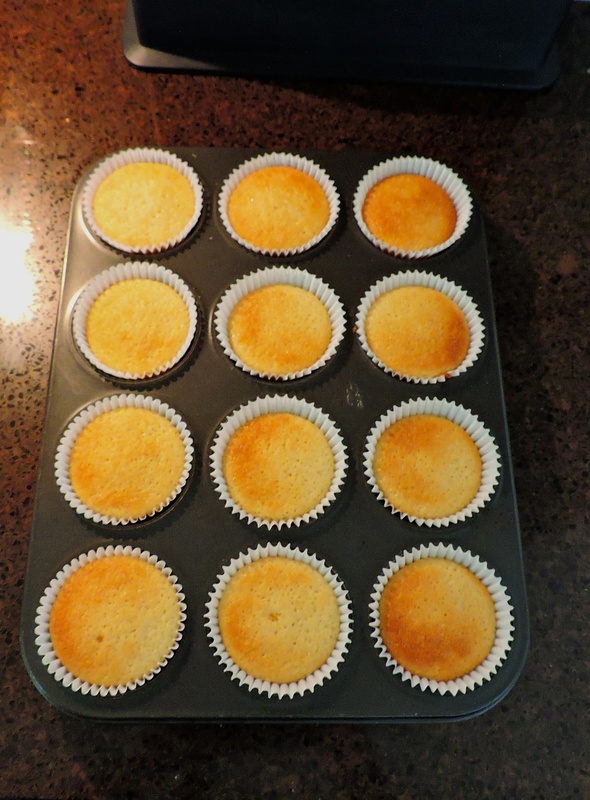 Very simple and unparalleled in taste, the humble vanilla cupcake. I use the Hummingbird Bakery recipe and it’s never failed me. Ever. It’s fairly forgiving and not sickly sweet or greasy. Mainly because it’s a glorified batter. Milk binds the mixture and gives the finest and lightest crumb. It’s important to use proper butter in baking and no ‘spreads’ or oils. Trust me, you can taste the difference. This quantity makes about 18 cupcakes. First, preheat your oven to 170° FAN (increase the temperature by 10 or so degrees if not using a fan-assisted oven). Add the butter, sugar, flour, baking powder and salt into a mixer. Mix until it resembles breadcrumbs. 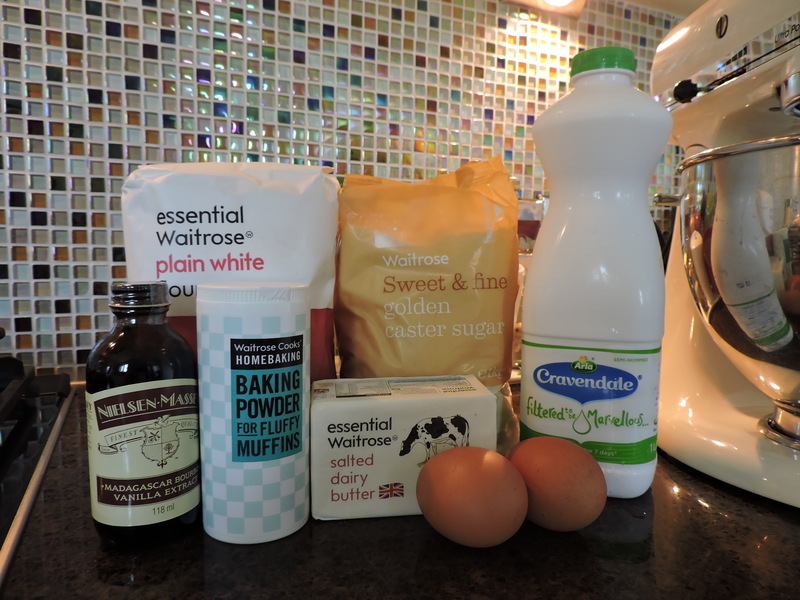 Then in a measuring jug, mix the milk, vanilla and two eggs. With the mixer on low, slowly add the milk mixture to the dry mixture, it will come together quickly. 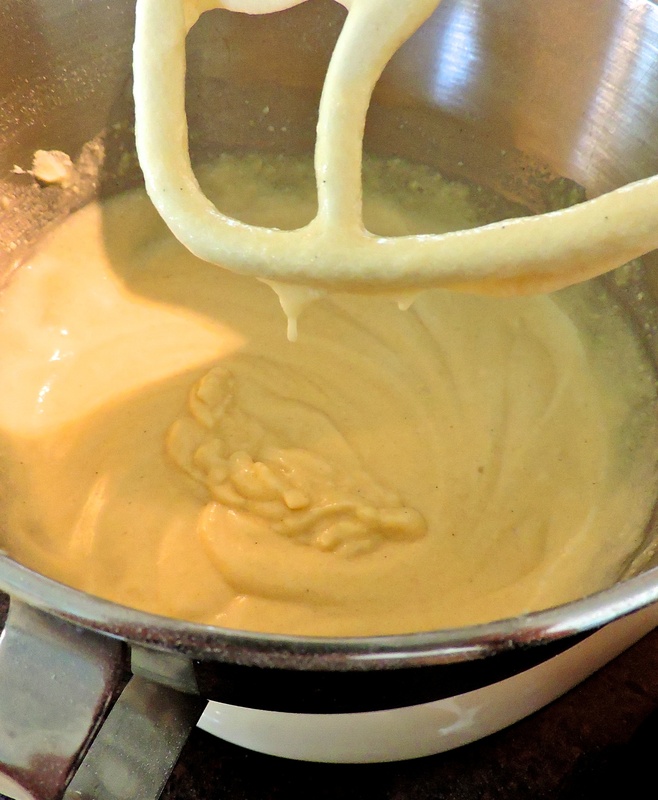 Add all of the milk mixture to the batter, stopping the mixer and scraping down the sides of the bowl as you go along. Do not be alarmed at how runny the cake batter is, it’s meant to be like that! Line a cupcake tin (not a shallow bun tin) with paper liners and fill the cases 2/3 full, taking care not to overfill. Place on a central shelf in your oven for 18-20 minutes, or until golden brown. To make sure your cakes are cooked they should spring back when lightly touched and a cake skewer or toothpick should come out clean when inserted into the centre of the cakes. Leave your cupcakes to cool completely before attempting to ice them. You can frost your cupcakes however you like, I am going to do separate posts on different types of frosting and icing as it all depends on the kind of cupcake you want. Best cakes in the world !! Thanks Haris! Try baking them next time!